The Promotion and Education committee is a dynamic group of Farm Bureau leaders who develop, implement, and promote programs that build agricultural awareness and provide leadership development to the agricultural community. Many Farm Bureau members are passionate about sharing their agriculture story and ultimately providing agricultural education for school age students and adults of all ages. The Promotion and Education committee uses the following programs to promote agricultural education across Wisconsin. • The Promotion and Education Committee helps host an Ag in the Classroom essay contest for fourth- and fifth-grade students. Students are asked to write an essay about a Wisconsin agriculture-related topic. 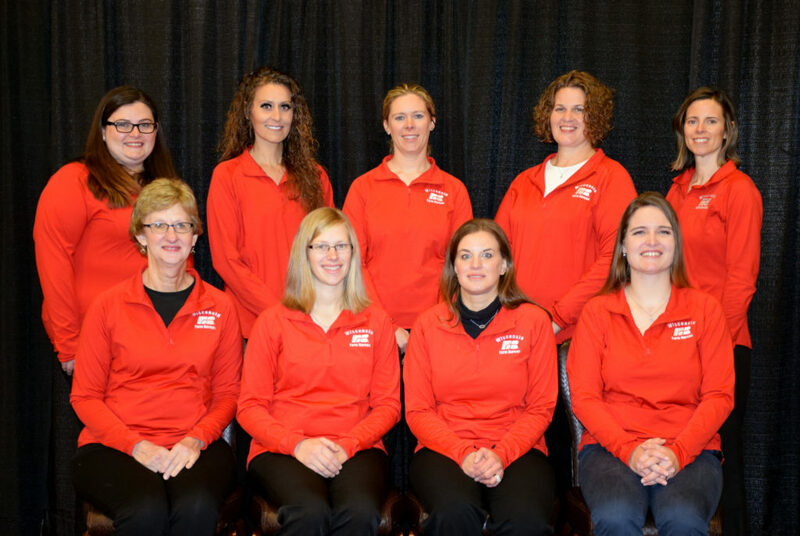 Finalists are selected from each of the nine Wisconsin Farm Bureau districts with one of the finalists being selected as the state winner. • The Children’s Agriculture Book Series is an ongoing effort by the Promotion and Education Committee to promote books that accurately portray modern agriculture to elementary-age children. Simple programs like this expand agriculture awareness starting from a young age to help develop agriculturally-literate consumers. To learn more, visit the Wisconsin Ag in the Classroom website. The Playbook provides county Farm Bureaus with ideas and resources for planning agriculture awareness and agriculture promotion events. Members of the WFBF Promotion and Education Committee collect event, program and activity ideas that are related to agricultural education and compile them in this easy to use Playbook. You will find activities and events for all ages, event timeframes and budgets in the following categories: Ag in the Classroom, consumer outreach, agricultural education and agricultural promotion, fundraising, member development and policy. Click here to submit a play online. Our Food Link: Our Food Link is a year-round program that Wisconsin Farm Bureau uses to effectively reach consumers of all ages and backgrounds with information about modern agriculture. This outreach is more important than ever because the average American is at least three generations removed from the farm. Throughout the year, Farm Bureau members help people in their communities to connect with sources of food, fuel and fiber. To learn more, visit the American Farm Bureau website.